Brian Reed Doyle and his identical twin brother Blake were born on January 26, 1954, the last of four children of Robert Shelby and Virginia Kathryn (Toohey) Doyle, in Glasgow, Kentucky, 95 miles south of Louisville.3 In the 1760s Brian’s four-great grandfather Samuel Doyle (a/k/a Doyel) arrived in Virginia from County Carlow, Ireland, and substantial evidence suggests he served as a militia private during the Revolutionary War. After the war Samuel moved to North Carolina before eventually settling east of Louisville, Kentucky. Around 1800, his eldest sons continued the trek south to Kentucky’s Bowling Green region where Doyle descendants proliferated for generations (the “Doyel” spelling appears to have been discontinued in the late 1800s). In 1917 Brian’s father was born in Barren County about 30 miles east of Bowling Green. An extraordinary athlete, Robert excelled in basketball, tennis, and eventually semi-pro baseball (later joined in this latter pursuit by his eldest son, future major leaguer Denny Doyle). Robert, Sr. turned down a University of Kentucky basketball scholarship in part because his father, a hard-working farmer, strongly discouraged sports. Robert the younger took a different path; after marrying his high school sweetheart in 1940, the couple never missed an athletic event in which their children were involved. The children attended Caverna High School in Horse Cave, Kentucky. Through 2015 the Caverna Colonels have achieved two state baseball championships. The first came in 1961, under the guidance of Denny Doyle, and the second 11 years later under Brian and Blake (an accomplished pitcher and shortstop). In 1972, during his senior year in high school, Brian, who also starred in basketball and football, received athletic scholarship offers from a variety of Division I schools. However the Doyle home had experienced radical upheaval. Finances nosedived after Robert, a successful building contractor, suffered a heart attack. The large bonuses being offered by every major league club offered Brian an opportunity to assist the family. Both he and Blake made themselves available in the June 1972 amateur draft. In a deep class that included hurler Bob Purkey’s son and HOF manager Walter Alston’s grandson, Brian and Blake were selected in the fourth round by the Texas Rangers and Baltimore Orioles, respectively. But Doyle’s first year success soured over the next three seasons. Shifted primarily to second base, in 1974 he endured an injury-plagued year—a mere 115 at-bats—with the Pittsfield (Massachusetts) Rangers in the Eastern League. The next year, following a demotion to the Lynchburg, Virginia, affiliate in the Carolina League (Class A), Doyle struggled with a .183-0-10 line in his last 47 games. But he suddenly bounced back in 1976. Moved to the hot corner with the San Antonio Brewers in the Texas circuit—and excluding two games at first base, Doyle would spend his entire career shifting around the remainder of the infield—he surged to a .349 pace in his first 25 games to earn a rapid promotion to AAA Sacramento in the Pacific Coast League. On August 8, his four hits led the Solons to an 11-1 rout of the Spokane Indians, and he finished with a .290-3-32 line in 393 at-bats. The rebound quickly attracted attention from other major league clubs. On February 17, 1977 he was traded to the Yankees alongside fellow minor league infielder Greg Pryor and $25,000 for veteran utility player Sandy Alomar. Doyle rejoined the Yankees as a September call-up and made just one appearance as a defensive replacement as the club tried to hold on to their narrow first place margin. On September 29 Randolph pulled a hamstring running out an eighth inning infield single. Inserted as a pinch-runner, Doyle scored the winning tally in a 3-1 comeback victory. The injury ended Randolph’s season, and the Yankees finished the few remaining games of the season platooning Doyle and utility infielder Fred Stanley at second base. On October 2 the Yankees defeated the Boston Red Sox in a one game playoff to capture the AL East crown. The next day—a date he normally would have spent travelling to his offseason job selling shirts and fitting customers at Gold & Farley’s clothing store in Bowling Green—Doyle instead found himself in Kansas City starting in Game One of the ALCS. He contributed his first ever career RBI among two hits in a 7-1 opening win against the Royals. Doyle appeared in two of the three remaining playoff games as the Yankees eliminated the Royals and headed for the World Series. Interestingly, Doyle started against right-handers despite a much better career average in limited play against lefties (Stanley performed better against southpaws as well, but only marginally so). Doyle sat out Game One and the start of Game Four against Los Angeles Dodgers’ lefty Tommy John. He got his first World Series hit in the fourth inning of Game Two as the Yankees lost their second game in Los Angeles. But by October 14, the Bronx Bombers had tied the Series at two games apiece on their home turf. The next day the Dodgers took an early 2-0 lead before nine-hole hitter Bucky Dent’s leadoff walk in the third opened the floodgates. The next inning Doyle—batting eighth—drove a single to center field to continue the onslaught in a lopsided 12-2 win. Doyle and Dent got six of the club’s 12 hits and scored one-third of their runs. They weren’t through. On October 17, back the West coast, the pair collected three hits apiece for the second straight game while collectively driving in five runs and scoring two in a 7-2 win that clinched the Series for the Yankees. Doyle’s RBI double in the second—his first extra-base hit in the majors—tied the game, while his sixth inning RBI single against future HOF inductee Don Sutton provided breathing room for the Yankees’ then one-run lead. After the game Doyle identified his Series heroics as his greatest baseball achievement adding, “[a]ll I know [is] . . . I’m not going to sell clothes this winter.”12 A week later, in a parade worthy of a conquering Caesar, he was honored with “Brian Doyle Day” in Cave City, Kentucky. Doyle spent a busy winter in Florida alongside his brothers establishing the Doyle Baseball instructional school. The concept, which had evolved at least a year before, immediately benefitted from his new-found name recognition. When not working with his brothers Doyle could be found on the rubber-chicken circuit. In January 1979, the Yankees’ twice failed to extract future HOF infielder Rod Carew from the Twins for a large mix of players that included first base slugger Chris Chambliss and Brian Doyle. With Randolph’s expected healthy return, Doyle had no illusions as to his job on the 1979 Yankees. “I knew what I’d be doing this year, what my role on this team is,” he said. “If you’re going to be a utilityman, there’s no better place to be one than on the best team in the world.”13 Noted for his relentlessly positive outlook, Doyle willingly surrendered his uniform number 25 to free agent signee Tommy John. But in June, as injuries devastated the Yankees’ pitching—they would use an almost league-leading 19 pitchers that season—the club assigned Doyle to the Columbus Clippers in the International League to clear roster space for reliever Ron Davis. Doyle returned in July and again in September but saw little play—32 at-bats in 20 appearances. The 1980 season echoed 1979. Doyle’s season-long Columbus to New York and back shuffle earned him the dubious Otis Elevator Award. Subbing at varied times for the injured trio of Dent, Stanley, and third baseman Graig Nettles, Doyle earned a career high 13 hits in 75 at-bats including his only major league home run, a solo shot against Cleveland Indians righty Len Barker on June 29. 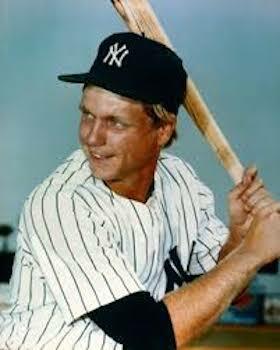 In November, the Yankees traded Doyle to the Oakland Athletics to complete an earlier trade for pitcher Mike Morgan, but Commissioner Bowie Kuhn voided the transfer because Doyle had once again been assigned to Columbus. On December 8, the Athletics made it official by selecting Doyle in the rule 5 draft. In 1982, the prospect of a regular role dangled before Doyle since the A’s had not had a fulltime second baseman in two years. He started three of the season’s first four games before being sidelined by a hamstring injury. He returned in May and received the bulk of play at second before a May 24 collision with Toronto Blue Jays designated hitter Otto Velez, who was attempting to break up a double play. The crash not only landed Doyle on the 15-day disabled list with a separated shoulder, but it ended his major league career. In June, before he had fully healed, Doyle was assigned to the Tacoma Tigers in the PCL. The next year he shuffled between Toronto and Cleveland affiliates in the International League. On June 26, 1982, playing for the Charleston Charlies, Doyle stole home plate against the Richmond Braves. The next day he cleverly pulled the hidden ball trick against Braves’ outfielder Leo Vargas. But 1982 marked the end of Doyle’s playing career. The next year he managed Cleveland’s Short Season-A Batavia (New York) Trojans in the New York-Pennsylvania League and spent the 1984-85 campaigns as a Cleveland Indians coach under manager Pat Corrales. But these events proved the final hurrah for Doyle. In 1984 he retired from organized baseball and returned to his adopted home of Winter Haven, Florida, to his family of four. Doyle had married Kentucky-native and childhood sweetheart Connie Payton in Horse Cave, Kentucky, in December 1973. The union produced a son Kirk and a daughter Kristin. Though he continued to maintain his close association with his brothers’ Doyle Baseball school—a camp frequented over the years by such notable guest instructors as Carew, Cal Yastrzemski, Carlton Fisk and Fergie Jenkins—Doyle launched a second career in a higher calling. In a lengthy interview in 1979 Doyle remarked, “[t]here are more important things in life than baseball. One thing is my Christian faith, which is very important to me.”14 By the 1990s he had put that faith to work. With just a few college semesters under his belt at Western Kentucky University, and no seminary training, Doyle was ordained as a Southern Baptist minister. He received his first placement in 2005 at the Fort Lauderdale First Baptist Church. Serving there until 2011, Doyle and his wife moved to Georgia where he joined the Global Baseball Youth Federation. First placed by Global Baseball in Israel, Doyle went on to develop the federation’s curriculum which took him to Cuba, Puerto Rico, and Ecuador. In 2011 Doyle and his wife moved to Georgia to be close to their five grandchildren. Three years later he contracted Parkinson’s disease. The debilitating disease slowed but did not fully curtail his active life. In 2016, he awaited the publication of the first of a series of religiously-focused children’s books, and he was working on an autobiography entitled The Call. In 2014, the New York faithful fondly remembered Doyle for his 1978 World Series exploits at an Old Timers Day event at Yankee Stadium. The author wishes to thank Rod Nelson, chair of the SABR Scouts Committee, and Tom Schott for review and edit of the narrative. Brian Doyle, telephone interview, March 29, 2016. 1 “Dent and Doyle Dynamite Duo,” The Sporting News, November 4, 1978: 24. 2 “Unheralded Doyle, Beattie Preside as Yanks Pour It On,” ibid., October 28: 12. 3 Some sources give his birth year as 1955, but Doyle told the author that 1954 is correct. 4 “Super Glove Work Helps Red Sox Boost Lead,” The Sporting News, August 16, 1975: 11. 5 “Doyle’s Habit,” ibid., August 6, 1977: 34. 6 In 1977 the International League featured a number of familial connections including brothers Lee and Garth Iorg and the sons of HOF inductees Yogi Berra and Whitey Ford. 7 “Martin Casts Vote for Maturing Randolph,” The Sporting News, May 13, 1978: 10. 8 “Doyle in Twilight Zone,” ibid., August 6, 1977: 34. 9 “Yankee Tale—From Turbulence to Triumph,” ibid., October 28, 1978: 20. 10 “Series Star Soon Out of Sight,” ibid., April 7, 1979: 9. 11 “Calendar Takes Big Cut At Yankee Flag Hopes,” ibid., September 9, 1978: 49. 12 “Yanks Do It With Deadly Duo: Dent, Doyle,” ibid., November 4: 41. 14 “Brian Doyle Just Idle Hero Now,” ibid. May 19, 1979: 14. 15 “Series Star Soon Out of Sight”; “The Imperfect Trifecta or Singles Only, Please,” April 12, 2012. Accessed April 18, 2016, http://bit.ly/1Nudy2u; ibid. (quote).